Here is the list of the hotels near Hagetaubin. Book your hotel near Hagetaubin today, Wednesday 15 May for the best price, reservation and cancellation free of charge thanks to our partner Booking.com, leader in on-line hotels reservation. Below here is the list the 50 closest hotels of Hagetaubin, sortable according your criteria. You will find the position of these accommodations on the Hagetaubin hotels map. Hotel Peret is located in the village of Denguin in the South West region, a 20-minute drive from the centre of Pau. It offers simple rooms with free Wi-Fi access, a bar and a restaurant with a terrace. Each room has a TV and a private bathroom with a shower. Continental breakfast is served daily and you can enjoy regional specialities made with local products in the hotel’s restaurant, Au Sergent. Hotel Peret is situated 10 km from the Lacq industrial complex. Free private parking is available at the hotel. 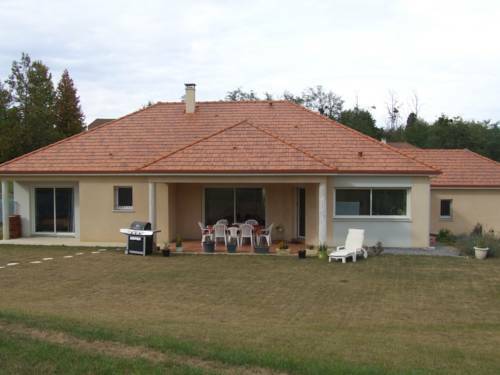 Three-Bedroom Holiday Home in Castetbon is set in Castetbon. Guests can go for a swim in the outdoor pool. The 3-bedroom holiday home is fitted with a living room with TV, and a fully equipped kitchen with dishwasher. Orion is 10 km from the holiday home. Pau Pyrénées Airport is 53 km from the property. Below here is the hotels map of Hagetaubin. Names and details of Hagetaubin hotels can be shown on the map clicking on the prices icons.